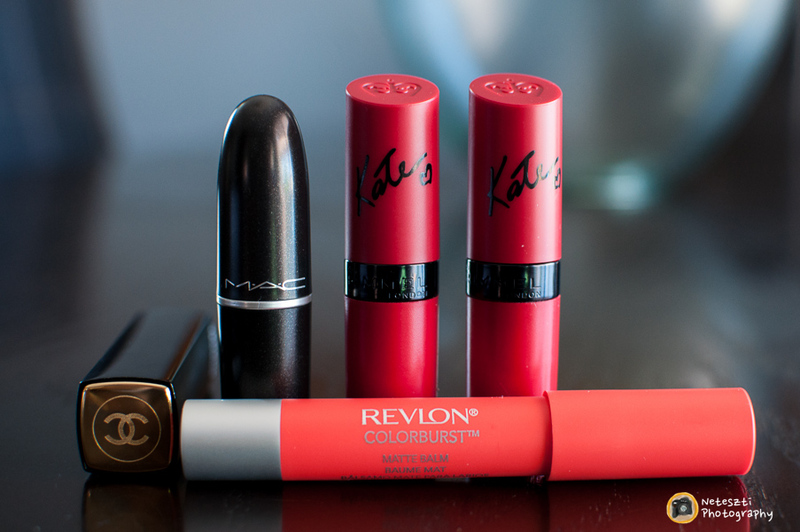 Reds are eye-catching and go perfect with a tan. 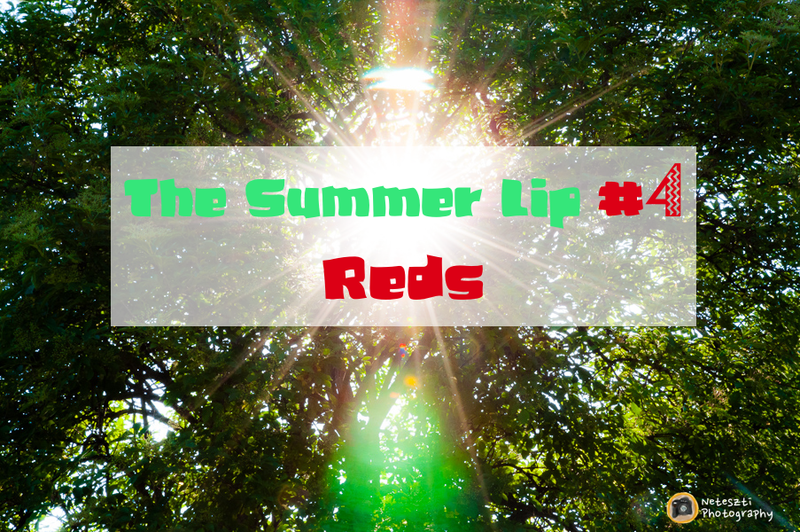 Also, I just feel more bold and in the mood to stand out, so let’s bring them on… As you will see my reds are more on the warm side because they go best with my skin tone and I feel they represent more the warmest season. If they are not your cup of tea check out for example NARS Velvet Matte Lip Pencil in Dragon Girl, Hourglass Opaque Rouge Liquid Lipstick in Icon or from the drugstore Rimmel Kate Moss Lasting Finish Matte Lipstick in 111 Kiss of Life and Kate Moss Lipstick Collection for Rimmel London 01, just to mention a few but there are many others to choose from. This is THE perfect beginner red. Even though this product is advertised as sheer, Candy Apple is one of the most pigmented from all the lip butters I own. 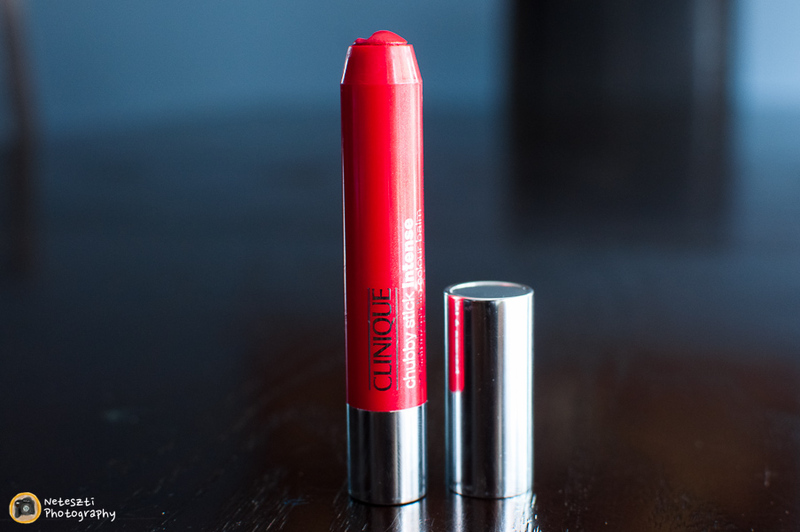 It feels fuss free and easy on the lips. If you are just easing into this color, pick up this one in your nearest drugstore, it’s literally everywhere. 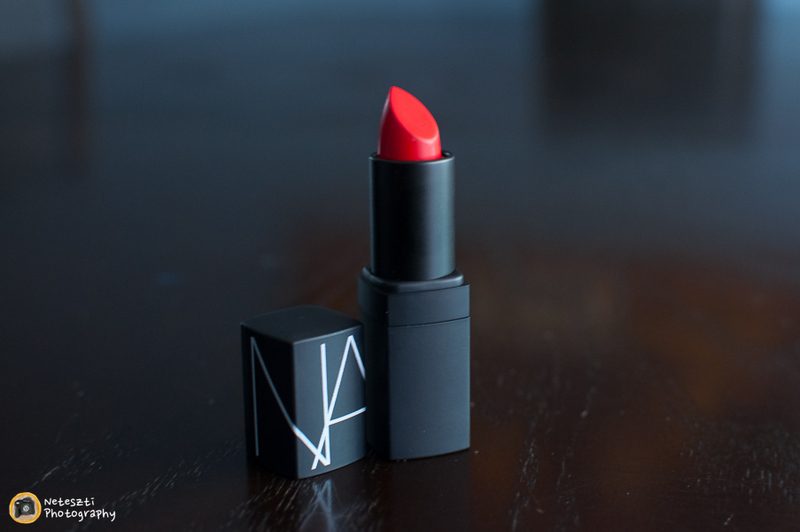 You can see how much I love this baby… it’s in a sad-sad state and on my soon-to-be-repurchased list. Well, for next summer because I don’t really wear this in any other season but as soon as the sun is out and it everything is melting around me I sip it out and wear it for weeks until I remember I have others I shouldn’t neglect. It’s extremely vibrant, cheerful, I never tried the original Chubby sticks, but I heard they are pretty sheer but the Intense sister & brothers definitely pack a punch in color. I love to bits everything in it: from the formula to the way it slowly wears off my lips, the twisty mechanism and even the fetching name, Hibiscus… it is my favorite tea flavor and really fitting for this lip product. It shouldn’t be a surprise that two matte/semi-matte reds found their way into the red company… These are really different reds though. Heat Wave is on the orange end and a stunning semi-matte lipstick that is okay to wear (I would carefully call it comfortable even on a good lip day), while Jungle Reds is really a one of a kind color… I would say watermelon with hints of pink in it but it is really hard to categorize but easy to love. Truly unique! On the hand Jungle Red feels a little bit dryer on the lips from the way it slightly dregs on the lips so I tend to reach for a balm before application. And the two next to each other… I hope the tone difference is visible on the photos but it is much more pronounced on the lips. 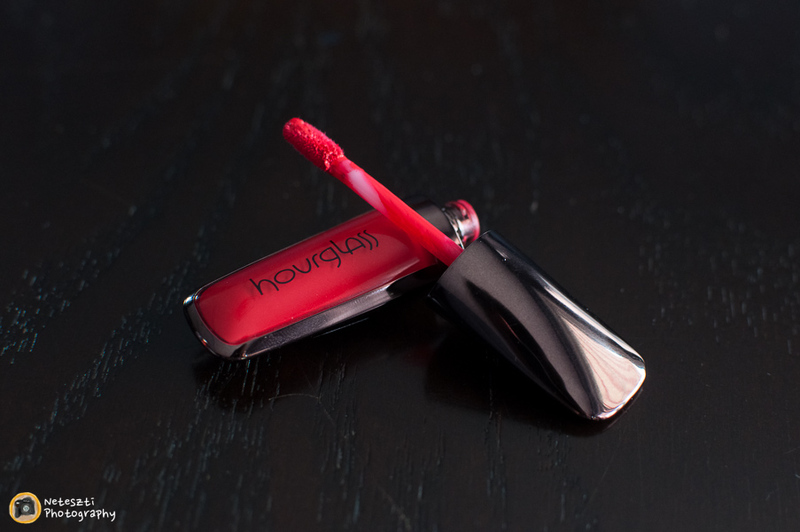 Hourglass came out with a pretty controversial product, at least in my eyes… All the beauty world was aching and uhhing over it but I couldn’t make up my mind for at least a year after purchase. My first reaction was disappointment and it it got dropped in the deepest bottom of my make-up bag, then when summer was back it creeped forward and I seem to get the hang of it now. 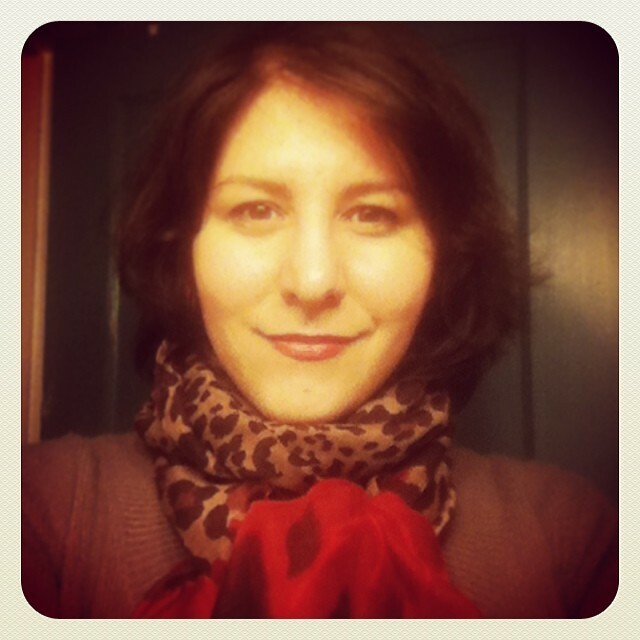 Perhaps I grew in my make-up application skills and finally gave it a chance to experiment… Anyway here are my findings. 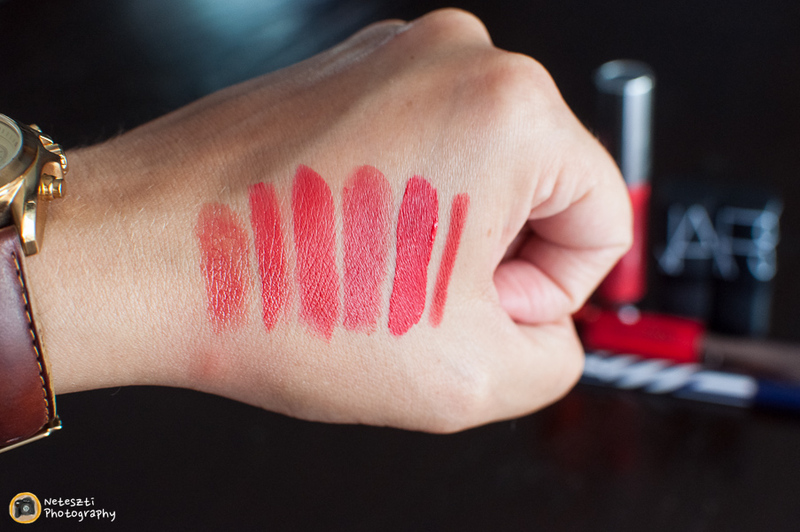 The pros are a long-lasting formula (survives drinks, lighter snacks and even lunch if it is not too greasy and you are careful), a nice applicator, a really unique color that is in between red, coral and pink. Really the color is its most redeeming feature! And it dries matte. This is actually a blessing and a curse as well, blessing cause I love matte and curse, well it can be really drying on the lips. Sure what I say in this case is use your trusty lip balm but it is not very nice to lip balms either: or it messes up the application, or it leaves COLOR on your nice, perhaps even white balm, so chapped lips is a definite no-no with this one. Another huge disadvantage is the fussy application process. You can use only one coat and have to be relatively quick about it, because after some time it starts drying and you can mess up the whole thing. It takes at least 2-3 minutes to completely dry so you are walking around the house with your mouth agape like a fish. Also there’s no way to re-apply without getting annoying little gobs all over your lips, so don’t use this if you are craving a nice, juicy burger…The verdict? I can pull it off on a good lip day with steady hands and expecting to eat light. When it’s actually on I get compliments left and right, BUT! Fussy, fussy, fussy! If you get over these cons, like I can on certain days, you won’t be disappointed but be forewarned… it’s not perfect! 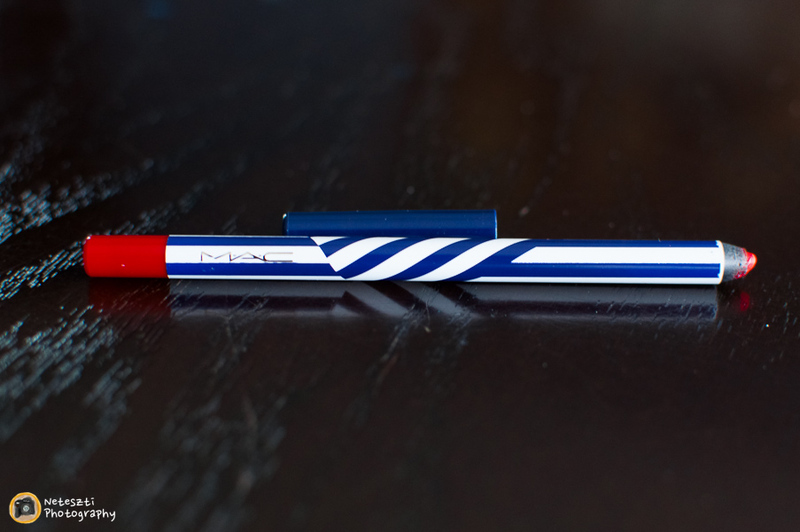 This one found it’s way into the collection because reds are best worn with a lip pencil under… I am not a fan of thin pencils but It really helped that I bought it in an outlet for half the price and that it has a really stunning color. I occasionally love to wear it by itself too with lots of lip balm to help with the dryness. I heard that MAC Pro Longwear Lip Pencil in Kiss Me Quick from their permanent line is very similar and an easy-to-find alternative. 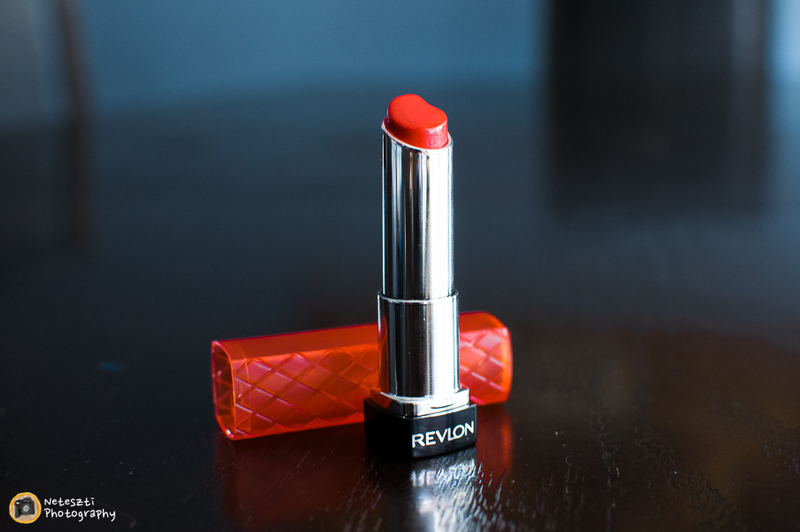 This is the last installment of bold lip colors this summer. 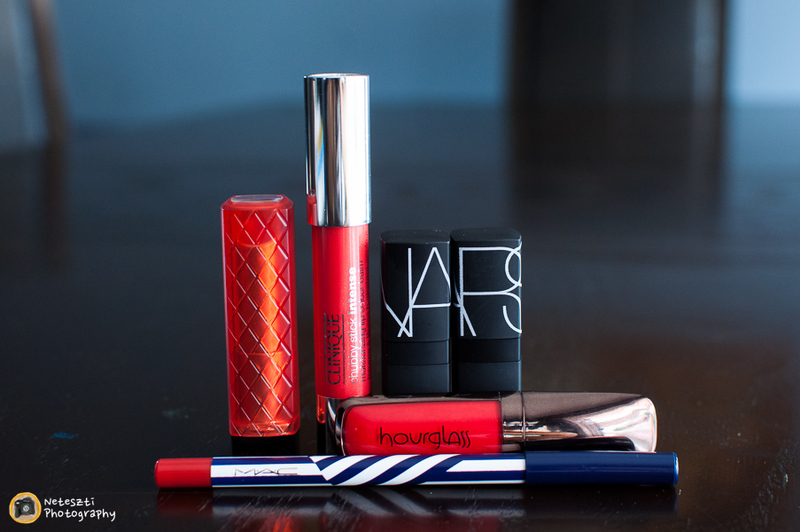 I hope you liked it and it inspired some of you to try out these fabulous lip products. BOLD is fun and on the right occasion with the right make-up and dress everybody should be able to pull it off with style. 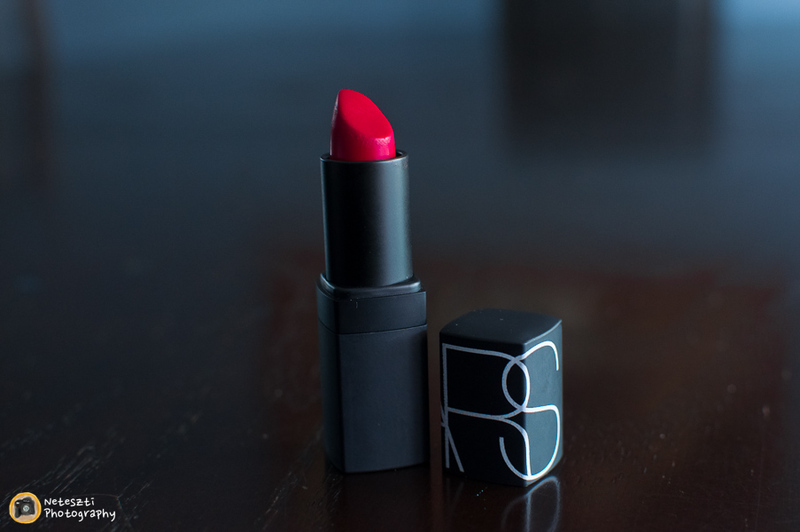 I like to be a BOLD lipstick girl myself and I am proud of it! Let’s be eternally BOLD in our choices! This post was planned to go up on Saturday but my Internet went puff for the weekend and the better half of the week too. It was a bummer but finally here I am with my orange toned lip products. 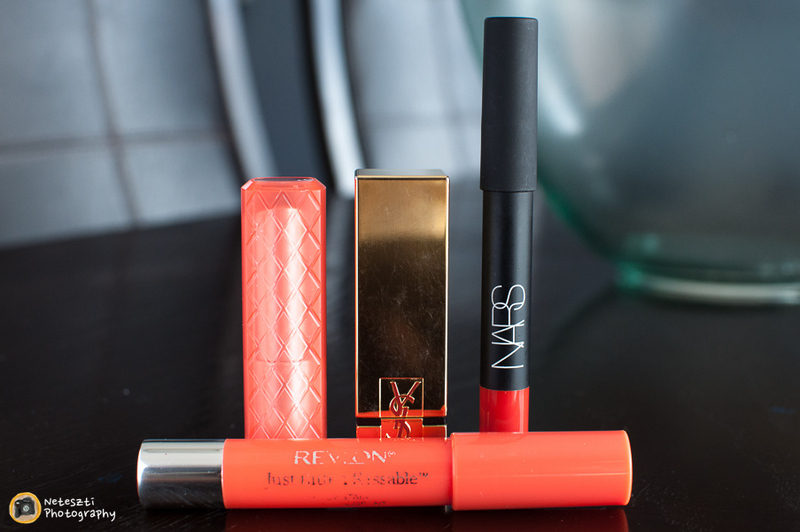 Orange lipsticks are my absolute favorite bold shades to wear. 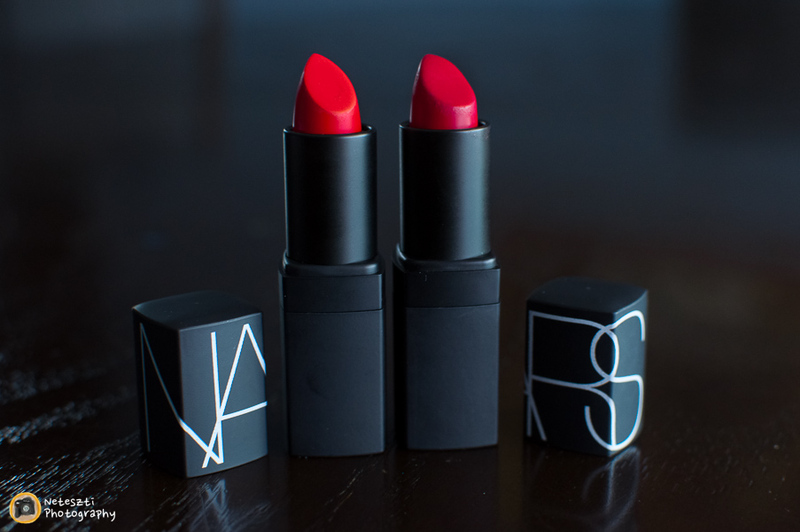 They go best with my skin tone and I love that every time I wear one it feels like I’m making a statement. Corals are great for spring and summer too. In spring I tend to wear more that subtle shades and in summer I reach for the bolder ones but really there are days when I’m not in the mood for strong colors then I exclusively choose the lighter versions. I’m partial to mattes with this color, as you will see… I have only one shiny finish, a cremesheen. 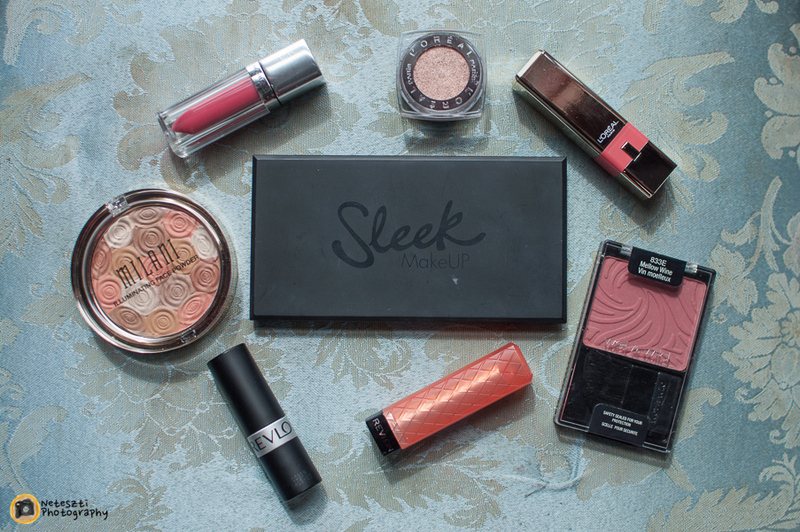 I picked two higher end (with one extremely expensive) and three drugstore offerings.